Carolyn Federman recalls one of the first dishes she cooked as a child. It was meatloaf and mashed potatoes, and it was for her mom. “I remembered my dad was out of town, my siblings were gone. It was just the two of us,” she said. Berkeley-based Federman, who formerly led Alice Waters’s Edible Schoolyard Project, now runs the Charlie Cart Project. It provides hands-on nutrition education, including cooking instruction, to children in settings such as schools, libraries, hospitals, botanical gardens, and children’s museums. “I believe that kids are highly capable,” she said. Raise your expectations, and children will rise up to meet them. 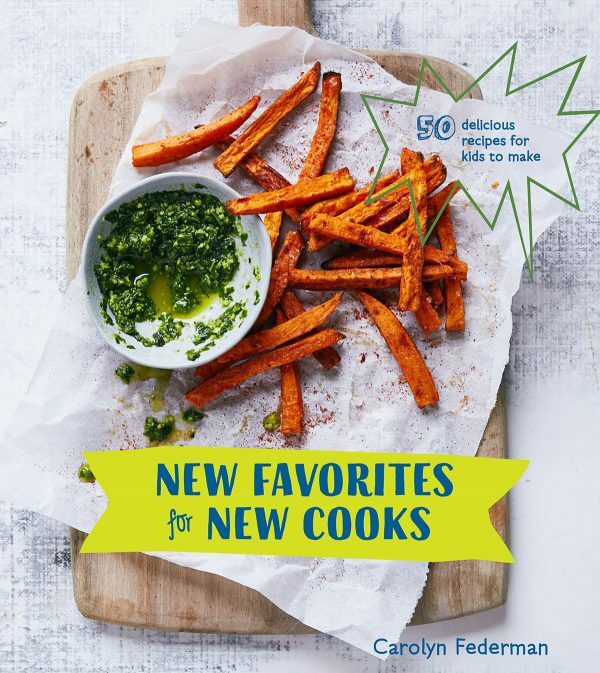 Inspired by the Charlie Cart Project curriculum, Federman wrote the recently released cookbook “New Favorites for New Cooks” ($19.99). Suitable for ages 8 and up, and ideal for tweens, it’s a far cry from cookbooks that may talk down to children, or assume kids don’t appreciate complex flavors. 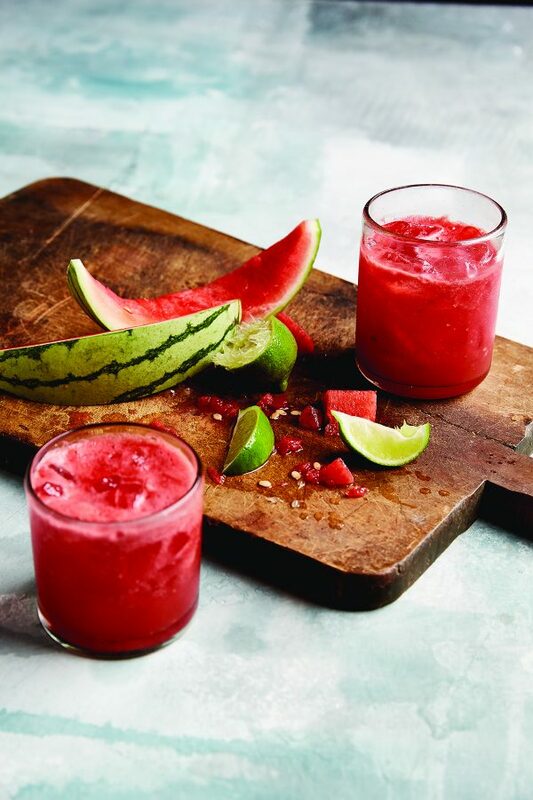 The seasonal recipes are full of flavor and along the way teach some foundational skills, such as basic knife skills (provided an adult is there to supervise, of course), or how to choose produce. The instructions offer helpful reminders throughout—“remember to use ‘the claw’ to protect your fingers” while slicing, for instance. What’s more, the recipes are simple and straightforward. 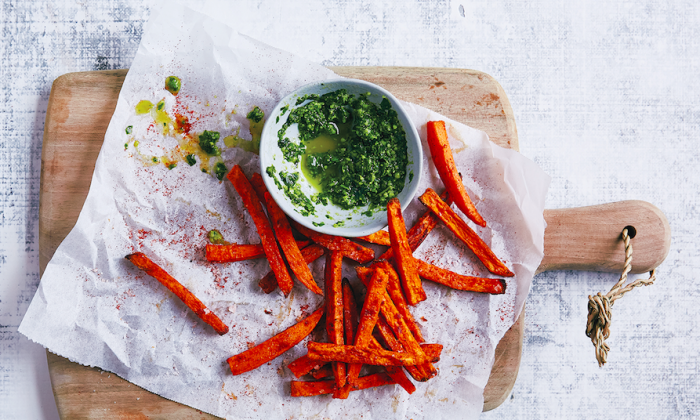 Examples include baked sweet potato fries; a parfait layered with Greek yogurt, cooked blueberries (cooking them amplifies their flavor), and granola; homemade tortillas with beans, sauteed veggies, and quick pickles for a taco party; and a fantastic old-fashioned ginger ale. They’re the sort of recipes that grown-ups would gladly put in their repertoire. Perhaps the greatest impact that Federman has seen as children learn to cook is an increase in their confidence, along with a willingness to try new foods. “We know as adults, if you try something new, you feel empowered,” she said. In the Charlie Cart Project, she sees children who blossom in self-confidence through hands-on experience, and in ways that may not have been possible in the traditional classroom. “They have an opportunity to shine. Teachers and peers see them differently,” she said. But where to begin? At home, parents can start by having children present in the kitchen while they cook. “Maybe they can do their homework in there. Kids learn a lot by osmosis,” Federman said. If you have children for whom vegetables hold zero appeal, try this one: roasted cauliflower. In Federman’s experience, it’s one dish that has turned around children’s perception of vegetables. The same goes with broccoli. When broccoli is boiled to a mushy consistency, kids may turn up their noses at the smell. But roast the broccoli, and the odd smell disappears; a sweet one replaces it, and the crunchy, crispy edges become irresistible. It’s worth exercising patience, for parents and children alike. It does take time for children to open up to new foods. When Federman’s son was young, they used to go on “spice quests,” making a game out of examining and trying spices together. Now, at 17, it’s not unusual to see him pile jalapeño slices on his tacos.